It is the policy of the Urbandale Community School District that school employees not commit acts of physical or sexual abuse, including inappropriate and intentional sexual behavior, toward students. Any school employee who commits such acts is subject to disciplinary sanctions up to and including discharge. It is the policy of the Urbandale Community School District to respond promptly to allegations of abuse of students by school employees by investigating or arranging for full investigation of any allegation, and to do so in a reasonably prudent manner. The processing of a complaint or allegation will be handled confidentially to the maximum extent possible consistent with the District’s obligations to investigate and respond to the complaint. All employees are required to assist in the investigation when requested to provide information, and to maintain the confidentiality of the reporting and investigating process. 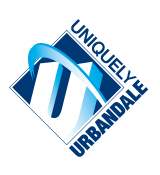 The Urbandale Community School District has appointed level-one investigators and alternates, and has arranged for or contracted with a trained, experienced professional to serve as the level-two investigator. The level-one investigators and alternates will be provided training in the conducting of an investigation at the expense of the Urbandale Community School District. The Superintendent or his/her designee shall prescribe rules in accordance with the rules adopted by the State Board of Education to carry out this policy.